CONFERENCE SNAPSHOT: At this leading safety event, join the nation's top experts for a comprehensive overview of the latest OSHA regulatory updates, proven best practices to improve safety performance, and tactical strategies to reduce risk. OSHA’s injury and illness recordkeeping standards are a common pain point for many employers. From determining which injuries and illnesses must be recorded, to maintaining and updating records properly, to adhering to posting and notification obligations, the rule encompasses a number of complex requirements that many organizations struggle to manage. And with the new electronic recordkeeping requirements that took effect in 2017, the stakes for noncompliance are now higher than ever, as OSHA will have access to a vast amount of establishment-specific data that the agency can use to target enforcement efforts. This intensive workshop will explore the causes of incidents using root cause analysis techniques to determine the most basic causes of workplace incidents and identify corrective actions to prevent recurrence in two parts. First, attendees will learn the importance of injury prevention using job hazard identification and assessment techniques in a risk-based methodology. Next, participants will learn how reducing risk in the pre-incident phase will lead employees to be safer, more productive and efficient in their work activities. While both JHA and root cause analysis have been used by safety practitioners for many years, the assessment and control of risk has only recently been applied to prevention of incidents by organizations that strive for best in class results. Effective training is crucial for the success of your safety program, but it’s hard to be a top notch safety pro and still find time to deliver great training. Are you tired of compliance-based lectures, and begging people to come and pay attention? Well, stop working so hard and work smarter. Be a Safety Training Ninja© who uses effective tools like a master and slices through training challenges. Explain five ways to make training easier and more exciting. Develop learning objectives that not only meet your company’s safety needs but that you can actually prove you achieved. Imagine a perfect safety world, where the workers thank you for your help; training is easy, valuable and effective; and the everyone thinks you are awesome for all that you do. Why, you are a safety superhero! But that’s not always the reality. In fact, some days, it’s hard to remember why you do this job in the first place. This program will revitalize your passion for safety and remind you that it’s all about how the little wins in safety can keep you engaged. Regina McMichael started in safety when she suddenly found herself planning a funeral after her husband fell to his death while employed as a roofer. That began her journey to save just one life to make up for the one she lost. During this keynote, you will go from struggling with the day-to-day challenges of the compliance driven work mentality to remembering that working in safety is full of amazing opportunities to help people see the little wins that happen along the way! This session will offer an inside look into OSHA’s upcoming regulatory developments, enforcement strategies, emphasis programs, and compliance assistance efforts. Attendees will gain an Agency perspective into OSHA’s latest activities and their potential impact on your industry. 10:05 a.m. – 10:20 a.m. It is increasingly common to find complex relationships between employers that can have ramifications for OSHA enforcement, labor law requirements, and management of worksite safety. Changes to the NLRB “joint employer” definitions may have profound impacts on host employers, staffing agencies, subcontractors and franchise holders. In 2015, the NLRB issued a significant ruling expanding the concept of “joint employer” in a way that impacts the management of worksite safety. The effects of a rewrite of the joint employer standard will ripple throughout the enforcement of workplace safety regulations. The presentation will cover the legal aspects of joint employer relationships, including franchises, staffing agencies, and “independent” contractors and subcontractors. It will also address OSHA enforcement in multi-employer worksite situations, respective responsibilities of each company, tort liability exposure issues, worker misclassification issues, and best practices for successful management of safety in joint employer situations. When third party policies can be attributed to “joint employers” to support OSHA citations under the General Duty Clause, and why. Learn the value and purpose of stay at work/ return to work programs. Recognize the application of ADA or other employment laws in relation to SAW/RTW. Apply practical guidance to JAN situation and solutions showcasing successful reasonable accommodations. Changes to OSHA’s Recording and Reporting Occupational Injuries and Illness Standard and implementation of the Improve Tracking of Workplace Injuries and Illnesses Rule create additional compliance requirements for employers and place even greater emphasis on the need for accurate, timely, and efficient documentation of workplace injuries and illnesses. Having effective injury and illness recordkeeping systems in place is essential to ensure compliance, but it is also key to understanding and ultimately reducing injury and illness risks to your workers and your business. Today, organizations face potential risks from numerous different hazards and threats. Regardless of the specific type of crisis, it is imperative that organizational leaders have the knowledge necessary to properly plan for emergencies. A comprehensive safety audit with a focus on emergency preparedness is a crucial first step to ensuring safety and business continuity in the midst of natural disasters, security hazards, and other relevant threats. Recent OSHA guidance has provided employers with a greater clarity on OSHA’s position regarding drug testing and safety incentive programs and how such programs deter the reporting of work-related injuries or illnesses. This presentation will explain the agency’s change in position, providing employers with the latest information from OSHA and tips on developing compliant drug testing and safety incentive programs. And what types of disciplinary programs are permissible and which types may be preserved as retaliation for reporting work-related injuries or illnesses. Currently, Employee Well-Being is the new hot button topic on HR and Safety professionals’ minds; however, many do not know or understand the issue. Research shows that employee well-being predicts job attitudes and performance; it directly affects how employees think, and feel about their organizations, and how they perform their job functions. During this presentation, we will be looking at how stress, fatigue and mental health issues affect worker’s well-being and how they pose manageable risks in the workplace. By understanding the issues and the risks, we can implement meaningful control measures to protect both the workers, and our organizations. Identifying techniques for managing risks associated with these issues. How do you train on FR/AR clothing? What is your responsibility for care and maintenance of your FR/AR clothing? There is still a lot of misleading, inaccurate and incorrect information regarding selection and proper use of FR/AR clothing. This session will clear up those misconceptions and explain your obligations. OSHA’s PPE standard at 29 CFR 1910.132 makes it clear that employers must provide effective training in the proper use of all PPE that employees are required to wear on the job. With many citations around improper training on care, and maintenance of FR/AR clothing, it is imperative—both for employee safety and for your bottom line—that employers understand their responsibilities and understand how to comply. This session will cover the applicable OSHA regulations, the relevant consensus standards, and the “best practices” to ensure proper selection, use, care, and maintenance of your FR/AR clothing. A solid accident and incident investigation process is a critical component of an effective safety program. You don’t want to simply treat the symptoms, you want to cure the conditions that caused the incident. Conducting a thorough root causes analysis helps you identify what happened, how it happened, and why it happened, so that steps can be taken to prevent a reoccurrence. The investigation processes and procedures to determine these root causes should be methodical, systematic and comprehensive. Two approaches that meet these objectives are traditional root cause analysis and OSHA’s incident investigation process. When properly structured, implemented, and followed, both approaches have proven to be very effective and efficient methods for performing investigations and reducing future accidents. Successful business in the 21st century is based on data: gathering it, managing it, leveraging it. Data swarms from all over, often in unstructured forms, and tracking vital indicators is not easily done. Yet that ability to extract value from data is exactly what EHS managers need. Having defined targets and goals is step one and EHS managers often focus on leading indicators in an attempt to achieve their goals. 7:50 a.m. – 8:00 a.m.
8:00 a.m. – 8:20 a.m.
8:20 a.m. – 9:20 a.m.
Training is a mission-critical component of a successful safety and health effort. Without effective employee, manager, and supervisor training, an organization will not be able to implement and sustain an effective safety and health management system. A safety management system consists of policies, procedures, and programs that include employee engagement and relies heavily on training as a key element to assure both the understanding and ability to integrate safety and health into day to day company operations. This session will cover basic needs assessment, training development, learning styles, training delivery, and learning evaluation. Safety is everyone’s job, and it is important that everyone in the organization is committed to creating a safe workplace. To ensure that commitment, safety must be addressed in terms that everyone, including high-level executives, understands – risk and risk management. Companies routinely act to minimize business risk in order to protect revenue and ensure productivity, but safety risk is just another form of business risk. Therefore, safety is a value that should be engrained within your company, because limiting the severity and frequency of injuries and accidents is good for your workers and good for your business. This means moving beyond mandatory OSHA compliance to address human behavior and the risks that employees encounter and may create. According to OSHA, workers who operate and maintain machinery suffer 18,000 amputations, lacerations, crushing injuries, and abrasions per year in addition to over 800 deaths. Additionally, the machine guarding and lockout/tagout standards are consistently on the list of the top 10 most frequently cited OSHA standards. Does your safety program effectively protect workers when they are exposed to moving machine parts and hazardous energy? If you have not developed effective machine guarding and lockout/tagout programs, your workers are at risk of injury—and you may be subject to costly OSHA citations in the event of an inspection. Presented by Steve Roberts, Safety Performance Solutions, Inc.
Understanding the root causes that trigger an OSHA inspection, becoming familiar with how inspections are conducted and what OSHA is looking for, and knowing who OSHA holds responsible are key elements in successfully navigating an OSHA inspection. This session is designed for business owners, management, safety professionals, and supervisors who are interested in learning what it takes to be prepared for, contest and manage the aftermath of an OSHA inspection. From the opening conference and walkaround to employee interviews, closing conference, and responding to citations, this session will walk you through each step of the inspection process and give you the tools to minimize your chance of costly fines. Active shooter incidents are unpredictable, violent, and chaotic. In most cases these events are over within a matter of minutes, prior to the arrival of law enforcement and first responders. Within that time fatalities take place, many of which are preventable. The responsibility of saving the lives of the injured while dealing with the ongoing active shooting event is complex, yet simple at the same time. Simply being prepared to effectively deal with such an event on multiple levels can minimize casualties, including you and those around you. This presentation will cover the myths versus the realities of active shooting events, how to reduce the risk of such an event, and how to save lives if you find yourself in the midst of such an event. We often hear of the need to gain leadership “buy-in” in order to drive the needed change and performance. Yes this is true, and we are much more effective when we act as business partners. If we want to be considered as part of the business strategy, processes, results and success, we need to understand and align with the business strategy, plans, operations and goals; and integrate safety within all of this. In this way, we become a component of joint business success, and not seemingly at odds with productivity, quality, costs or customer satisfaction. We also become a co-pilot in the needed actions and culture change, rather than struggling to be seen and heard. A different mindset, approach and skill set for us, as safety professionals, are required to accomplish these results. This session will provide a proven-successful approach to engage leadership at all levels; a safety skill tool kit, and a culture change model to follow. The best approach and actions to first engage the leadership, at all levels, to gain interest and support for change. The best techniques to secure on-going commitment and active involvement of all leaders to drive the needed changes and actions. The most critical business, leadership and communication skills for safety professionals to effective partner with business and functional senior and supervisory leaders. Adele L. Abrams is an attorney and Certified Mine Safety Professional who is president of the Law Office of Adele L. Abrams P.C., a multi-attorney firm with offices in Beltsville, MD, Denver, CO, and Charleston, WV. The firm represents employers in OSHA and MSHA litigation nationwide, and her firm also handles employment law matters in a large number of states. Ms. Abrams and her firm colleagues provide employment and safety law consultation, safety audits, industrial hygiene assistance, and training services to companies in a variety of industries. She is a member of the Maryland, DC and PA Bars; the U.S. District Courts of Maryland, DC, and TN; the U.S. Court of Appeals, DC Circuit 3rd Circuit, and 4th Circuit; and the United States Supreme Court. 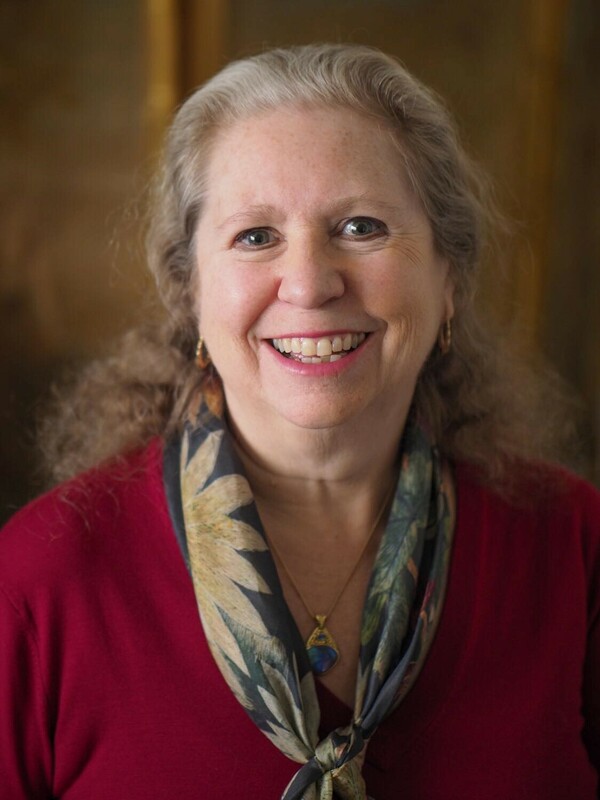 She also serves on the adjunct faculties of the Catholic University of America in Washington, DC, and the University of Colorado-Boulder, where she teaches on employment, labor and occupational safety law. She has been a professional member of ASSE (now ASSP) since 1997 and has been a SPY award recipient at the practice specialty, chapter, and regional level multiple times. She is an active member of the National Safety Council, where she was awarded the Distinguished Service to Safety Award (DSSA) in 2017. Adele has co-authored several textbooks on employment law, occupational and mine safety and health, and is a regular columnist on safety law issues for multiple magazines. Prior to founding Conn Maciel Carey, Mr. Conn was Head of an OSHA practice group that was honored as the “Occupational Health & Safety Law Firm of the Year” by Corporate INTL Magazine in its 2014 Global Awards. Before that, Mr. Conn practiced for more than a decade alongside the former first General Counsel of the OSH Review Commission. In 2013 and 2014, he was named a "Rising Star" by Washington, DC Super Lawyers, and as a Super Lawyer every year since. He has also been selected for inclusion in the Washington Post's Top-Rated Lawyers list in Washington, DC. Mr. Conn is a prolific writer on all topics OSHA related. He is the curator of Conn Maciel Carey’s award-winning OSHA Defense Report blog. Mr. Conn has authored multiple chapters in OSHA treatises, including “OSHA Inspections” in the Occupational Safety and Health Law Handbook, 2nd ed. (Gov’t. Institutes, 2008), and “Defending Against the Occupational Safety and Health Administration’s Increasingly Severe Enforcement Practices” in Complying with the Occupational Safety and Health Act: Leading Lawyers (Aspatore, Inside the Minds, 2012). Mr. Conn is also a popular speaker on OSHA and related legal issues, including as the producer of Conn Maciel Carey’s annual OSHA Webinar Series, and regularly keynotes trade group and industry conferences. He is often quoted as a leader in the field in trade publications. Mr. Conn created and curates the OSHA Defense Report Group on LinkedIn, and can be found on twitter as @OSHA_Guy. 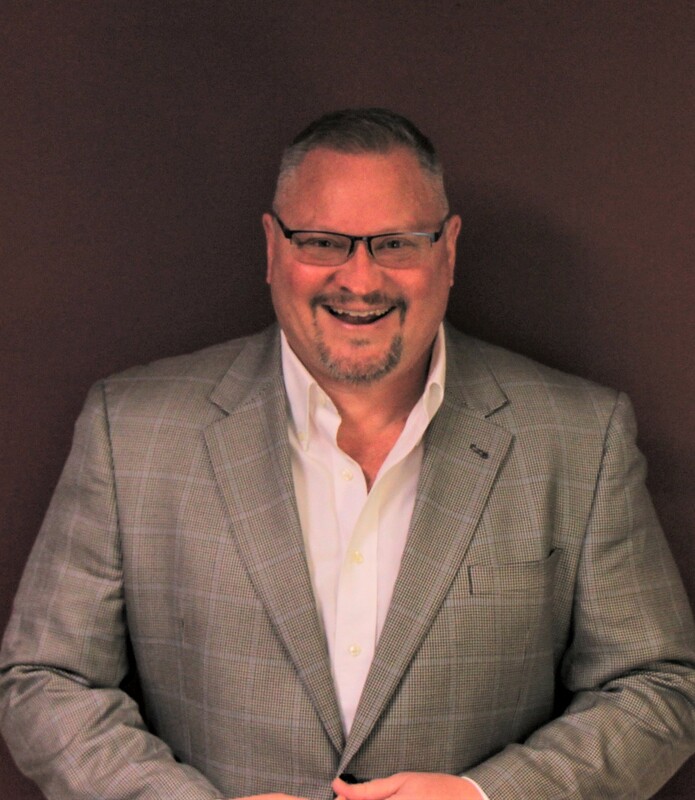 Dr. Cole leads Dakota's Compliance Services Team of EHS professionals providing tactical project management and client system configuration including delivery of full implementation services to Dakota Software clients. She has more than 30 years of onsite industry experience in the Environmental, Health and Safety compliance and auditing fields, as well as 18 years of database administration experience with Dakota’s products. Prior to joining Dakota, Dr. Cole held positions in the regulatory arena and in industry with global responsibility. Dr. Cole holds two Master’s Degrees in Chemistry and Environmental Engineering respectively, and a PhD in Environmental Engineering from Texas A&M University. She also holds QEP, CPEA, CVI and Six Sigma Transactional Green Belt certifications. 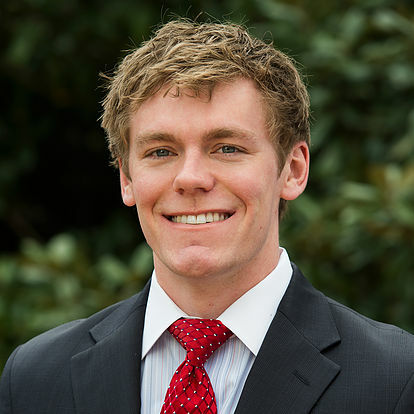 Daniel C. Deacon is an associate in the Washington, DC office of Conn Maciel Carey LLP working in both the Labor and Employment and OSHA practice groups. Mr. Deacon advises and represents employers on a wide range of employment-related issues, including wage and hour disputes, claims of discrimination and harassment, compliance with the Americans with Disabilities Act (ADA), the Affordable Care Act (ACA), and the Family Medical Leave Act (FMLA). Mr. Deacon also helps employers develop and implement effective workplace policies and safety and health programs. Additionally, Mr. Deacon represents and advises employers during inspections and investigations conducted by the federal Occupational Safety and Health Administration (OSHA) and state OSHA programs, responds to notices from OSHA about employee complaints of safety hazards, and represents employers in OSHA litigation, including citation contests and administrative hearings. Mr. Deacon also helps employers develop safety and health programs and policies, and conducts presentations on a variety of workplace safety topics. Terry DeRise is the Director of Manufacturing at Portacool, LLC., where he oversees all Portacool portable evaporative cooler manufacturing. Mr. DeRise joined the Portacool team in January 2013 as Quality Manager. While working for the company in various other roles, as well as his current, he has made significant improvements in throughput, efficiency and quality of the Portacool manufacturing process. With almost 30 years of military and civilian experience, he leads a team of 150 employees at Portacool’s East Texas manufacturing facility where he is a believer in proactive planning to reduce workplace risks for all employees. Prior to joining VelocityEHS in 2016, Greg Duncan spent 6 years working with NOAA and the Alaska Department of Fish & Game (ADF&G) as a federal fisheries observer studying the ecology of commercial fisheries in the North Pacific and Bering Sea, and monitoring fishing industry compliance with environmental laws and occupational health and safety standards. He holds a B.S. in Biology from the University of Illinois and a Masters of Environmental Law & Policy from Vermont Law School. For over 35 years, Cathy Hansell has been a catalyst for change. 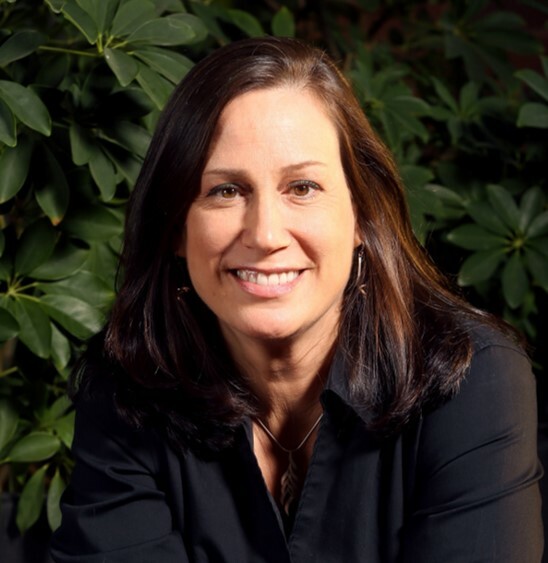 She has held several senior leadership positions in safety, health, environment (SHE), product stewardship, sustainability and manufacturing areas, at AlliedSignal, BASF and American Standard, across 47 countries and 20 industry segments. She led strategies throughout hundreds of manufacturing and service operations globally, to create global safety cultures and risk prevention processes for hundreds of thousands of employees. Results included 90%+ reduction in incident rates, prevention of thousands of injuries and millions in cost avoidance, and documented business value in production, quality, products, services and employee morale. Ms. Hansell received a JD in Law, a MS in Environmental Toxicology (NYU Institute of Environmental Medicine) & a BS in Environmental Science & Engineering. Cathy holds twelve certifications in Safety, Six Sigma, Quality and Sustainability. She was awarded One of the Top 100 Women in Safety from the American Society of Safety Engineers (ASSE). As the President of Breakthrough Results for the last 11 years, her firm specializes in leading companies to achieve superior, sustainable safety cultures and business value results. Her firm provides a strategic roadmap, practical tools, a unique change model and targeted education to guide the cultural transformation, which also links with sustainability goals. Clients include organizations in manufacturing, chemicals, polymers, pharmaceuticals, retail, energy generation/distribution, construction, military and government (CDC, NIOSH), and the investment community. She is also adjunct professor in the College of Engineering, West Virginia University, teaching a Graduate Safety Culture and Management course. Ms. Hansell began her crusade in 2009 to link SHE culture with sustainability and ESG factor incorporation with business strategic planning, processes and financial revenue returns. In 2012, she published a ground-breaking guide book, Accelerate Corporate Social Responsibility Results: Link and Leverage Your SHE Culture”. In 2015, she co-founded the Centre for Corporate Responsibility and Sustainable Development in Europe. She was recently published in Forbes, on the need to incorporate ESG (Environment, Social and Governance consideration and the culture behind it) into investment decisions. To advance the linkages of SHE with ESG and Sustainability, she is an international speaker and co-organizer of symposia in US, China, UK, Denmark, Italy and Canada. Ms. Hansell is also the host and executive producer of Safety Breakthrough Talk Radio, a unique talk radio show that airs on I-Tunes News & Talk Radio. She interviews international experts and government officials on safety, sustainability and wellness topics, including Ed Foulke, the former OSHA Administrator and several NIOSH experts and industry leaders. Joe Harrill holds a B.A. in Social Science from Gardner Webb University and a Master of Science in Human Resource Development from Western Carolina University. His leadership skills and passion for developing champions for a Total Safety Culture, has contributed to his successful career. He has over 30 years of experience in the manufacturing industry to include plastics, furniture, wood and telecommunications. He has enjoyed Corporate and plant roles as Director of EHS for over 2,000 employees at division level, 10,000 employees at corporate level to Safety and HR Manager at the plant level. He is a Safety professional that has held leadership positions in major companies to include Masco, Dana, and Furniture Brands. He has served as member of the National ANSI machine guarding committee, conducted major speaking engagements on behavior based safety with National Safety Conferences, changed manufacturing, safety and quality cultures to a value added culture where safety is equal to manufacturing and quality, and reduced workers compensation costs by over $800,000. Moreover, he understands and can interpret the impact of health and safety (H&S) regulations and legislation relevant to a specific industry. He has been at the forefront of new regulations regarding machine guarding and ergonomics where he was very much involved with the environmental, industrial health and safety issues associated with manufacturing industry from a State and National point of view. As a former member of the American Household Furniture Manufacturers Association he helped develop the North Carolina Voluntary Ergonomics Standard and received the Safety Leadership Award. While he was with a major furniture manufacturer, he championed a Culture change using behavior based safety for over 2000 employees. This involved securing top management support, engaging the entire work force, using kaizen, six sigma and value stream mapping to enable quality, production and safety to function as one. 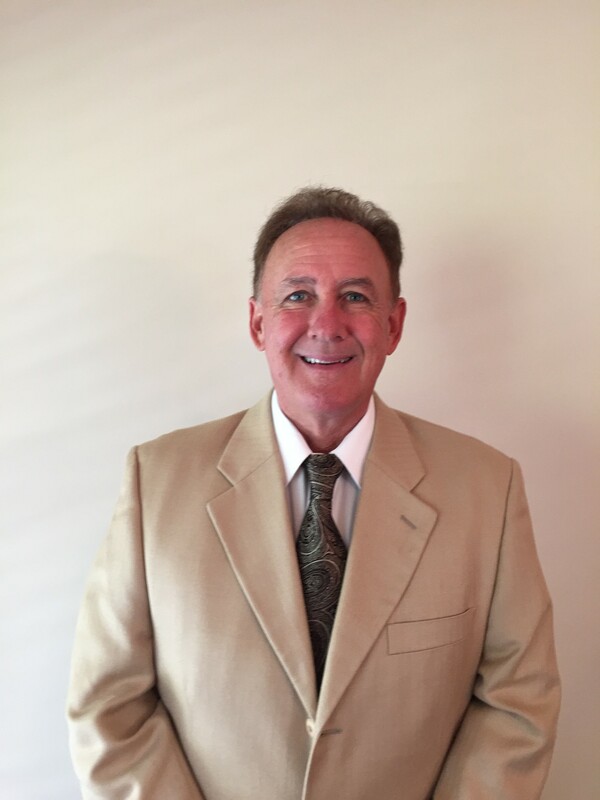 Mark Haskins is a founder and the owner of Practical Safety Solutions, LLC. He has over 38 years of experience in safety and health. His experience includes safety positions with a leading pharmaceutical company and a major chemical company as well as safety positions in consulting and on major projects for an international construction company. He provides safety services to clients concentrating on assessments, program development and implementation, incident analysis and training, as well as technical services including electrical safety, lockout tagout, machine guarding, industrial hygiene and confined space entry. In addition, Mr. Haskins held a faculty appointment at the University of New Haven, School of Public Safety and Professional Studies for 18 years. He is an instructor for the OSHA Training Institute and Education Center at Keene State College, as well as an adjunct faculty member. He is an authorized OSHA outreach trainer for 10-hour and 30-hour General Industry and Construction courses and a Certified Safety Professional in Comprehensive Practice. 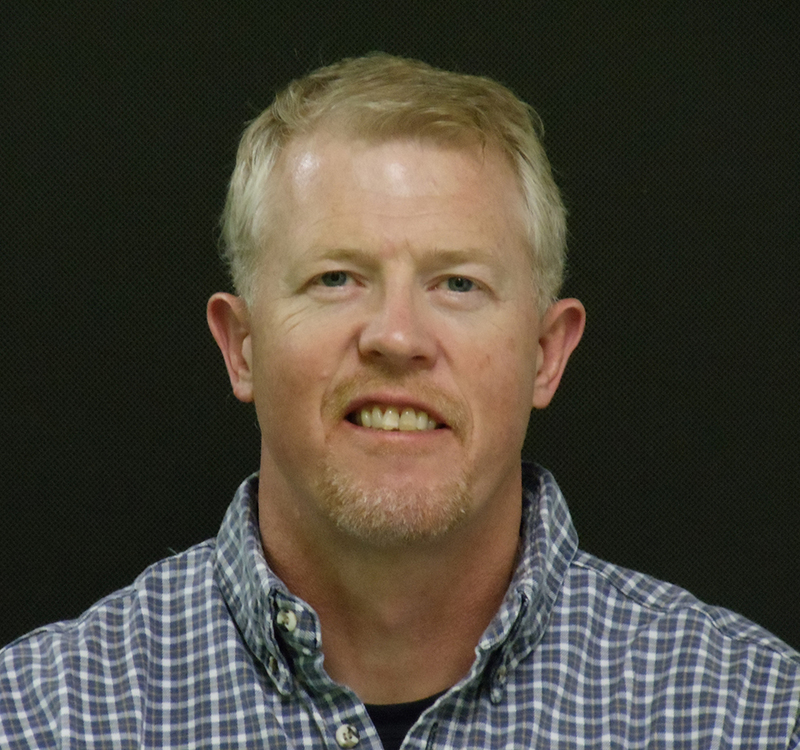 Mr. Haskins has a master’s degree in occupational safety and health management, a graduate certificate in industrial hygiene and a bachelor’s degree in biology. He is a certified firefighter and is a hazardous materials trainer. He is a member of the American Industrial Hygiene Association, the National Fire Protection Association, the Connecticut Safety Society and the American Society of Safety Engineers. 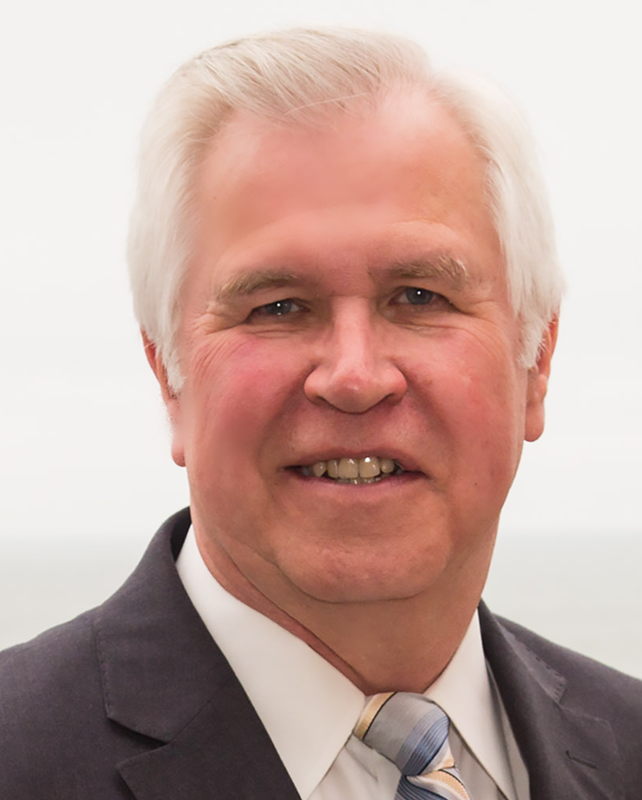 He serves on the Connecticut Business and Industry Association’s Safety Advisory Committee. He has authored articles on safety and health management and is a frequent speaker at local, regional and national seminars and conferences. Jenifer Kienle is a partner in the Orange County office of Lewis Brisbois Bisgaard & Smith LLP and chair of the OSHA Safety & Health Practice. She is an experienced trial attorney with expertise in defending national and California commercial enterprises in general liability claims including industrial and construction catastrophic personal injury and wrongful death claims, suits, and OSHA appeals; fast food and hospitality claims arising out of claimed dangerous conditions, inadequate security, defective playground equipment, and food borne illness; personal injury and property damage litigation arising out of public works improvements and traffic control; and Cal/OSHA appeals. During Ms. Kienle’s 20 years with Lewis Brisbois, she has focused on defending complex personal injury and wrongful death civil litigation claims that arise in a wide variety of industries including hospitality, restaurant, construction and industrial/manufacturing operations. She developed the Firm's OSHA Health & Safety Practice and provide investigation, consultation and appeal support to employers facing Cal-OSHA, Federal OSHA and whistleblower/retaliatory discharge complaints. Lewis Brisbois’ OSHA team has been successful in getting OSHA complaints and enforcement actions quickly and positively resolved. 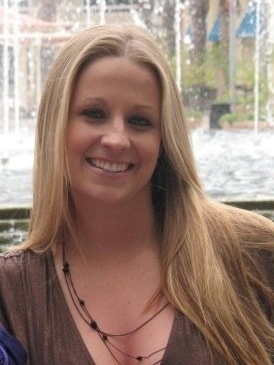 Lisa Mathess joined the Job Accommodation Network’s (JAN) motor team as a consultant February 2011. She provides one-on-one guidance on workplace accommodations and the Americans with Disabilities Act (ADA) and assists employees and employers with understanding their rights and responsibilities under the ADA and in identifying accommodation solutions for employees with motor impairments. She also presents on the ADA and accommodation issues at various national conferences and provides specialized trainings to JAN audiences and advocacy groups. Ms. Mathess graduated from West Virginia University with a bachelor’s degree in Business and a Master’s of Arts in Communication Studies. 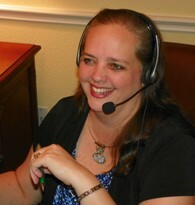 In 2014 she completed the Assistive Technology Applications Certificate Program (ATACP). Most recently in 2015, she became a SHRM Certified Professional (SHRM-CP). Regina McMichael’s safety career began at the age of 20 when she found herself planning a funeral for her husband after he died falling off a roof while working on a job site. Following her husband’s untimely death, Ms. McMichael dedicated her time to investigating the incident and took part in writing the OSHA fall protection guidelines that could have saved her husband. Today, she’s a world-renowned inspirational safety speaker and trainer whose energy, humor, and engaging style helps motivate others find their passion for safety. She’s able to transform safety from a dry, boring compliance issue, to a living, breathing, vitally important human issue that can save lives. Her trainings and keynote speeches drive home the point that when we create a vibrant safety culture, we are creating a happier, healthier, and more profitable organization. Sionnain McNally leads a team of Occupational Health and Safety professionals tasked with improving the health and safety performance of companies within the manufacturing industry in the Province of British Columbia. While he only admits to 20 years of experience as a health and safety professional, he has worked in leadership roles in the construction, manufacturing, oil & gas, post-secondary education & research, and the entertainment industries, as well as being a veteran of both the Canadian Army and Royal Canadian Navy. He possesses a Master’s in Business Administration specializing in Innovation and Leadership, is a Board Certified Canadian Registered Safety Professional (CRSP) and is pursuing his Chartered Member status with the Institute of Occupational Safety & Health in the UK. He does not believe in “Thinking outside the box,” because he believes as health and safety professional, we should never be in a box. Join him in identifying new solutions to old problems. 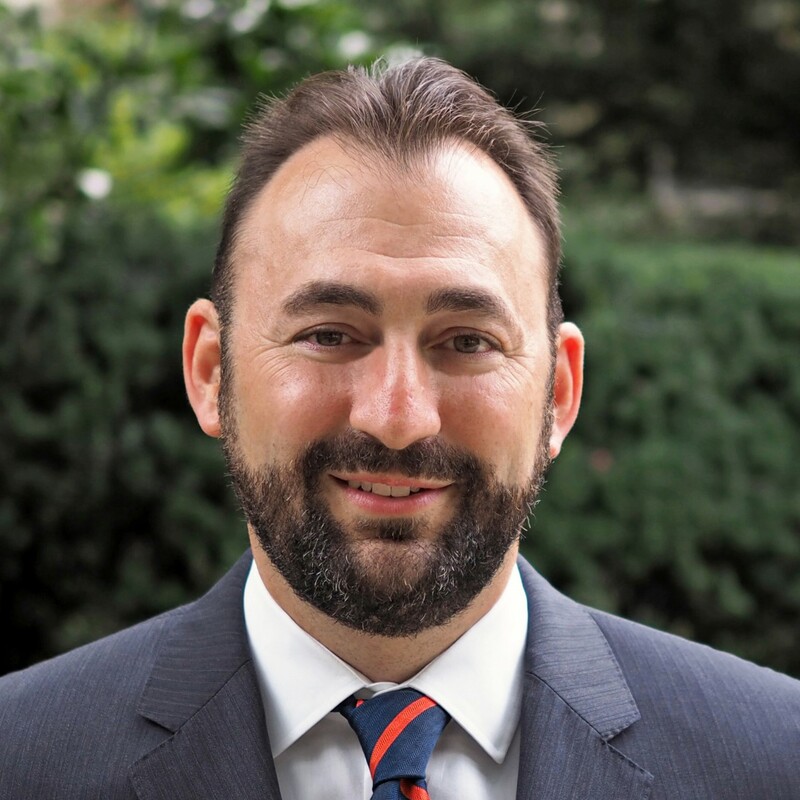 Dr. Matthew Miraglia is President of CLPS Consultancy Group, a risk management, emergency preparedness, and security firm. Prior to starting CLPS, he served in the United States Marine Corps, and was a police detective in charge of emergency management and disaster preparedness in Scarsdale, NY. Dr. Miraglia also served as an intelligence officer on the New York State Counter Terrorism Task Force, before retiring from active police service in 2011. He is nationally recognized scholar of homeland security and has numerous publications in that concentration. Dr. Miraglia holds a B.S. in Criminal Justice, M.S. in Organizational Leadership, M.B.A. in Management, Post-Master’s Certificate in National Security, and Doctor of Education in Executive Leadership. Amber Pappas has worked in the construction industry for over 20 years serving as the Director of Operations for a large metal frame and drywall contractor. This experience has given her an expert level of knowledge in areas such as fall protection, scaffolding, hazard communication and the many hazards that are associated with construction. She is co-founder and President of Safety Help Today specializing in small contractor safety compliance and OSHA training. She is also a trainer for the National Safety Council emphasizing on the Fundamentals of Industrial Hygiene, Job Safety Analysis, and OSHA Inspections. Tracy L. Moon, Jr., Esq. 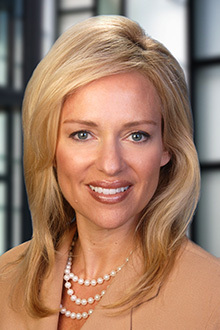 Tracy Moon is a partner in Fisher Phillips LLP’s Atlanta office. He represents employers in all aspects of labor and employment law. His experience includes representation of employers before state and federal trial and appellate courts in matters under Title VII of the Civil Rights Act of 1964, the Age Discrimination in Employment Act (ADEA), Americans With Disabilities Act (ADA), Family and Medical Leave Act (FMLA), and a variety of state law wrongful discharge, contract and tort claims. Mr. Moon also represents employers before the National Labor Relations Board and other government agencies, including the Equal Employment Opportunity Commission (EEOC) and Occupational Safety and Health Administration (OSHA). He counsels and trains employers on labor and employment law, including conducting on-site compliance inspections and in-house management training programs. He is a frequent speaker at various employment and labor law programs. Matthew F. Nieman is a Principal in the Washington, D.C. Region office of Jackson Lewis P.C. He also serves as the Litigation Manager for the office. Mr. Nieman represents employers in a broad spectrum of labor and employment law matters, including workplace drug-testing issues. He is actively involved in all phases of the litigation process on the full range of employment discrimination and employment-related tort and contract claims, including the representation of employers in actions before the Department of Labor, the Equal Employment Opportunity Commission, the National Labor Relations Board, the Occupational Safety and Health Administration, the Mine Safety and Health Administration, and various state and local agencies. He is a frequent writer on substance-abuse-prevention topics and also He speaks to and provides training to employer groups on various workplace-related topics, including sexual harassment, discrimination, substance-abuse prevention, and litigation avoidance. 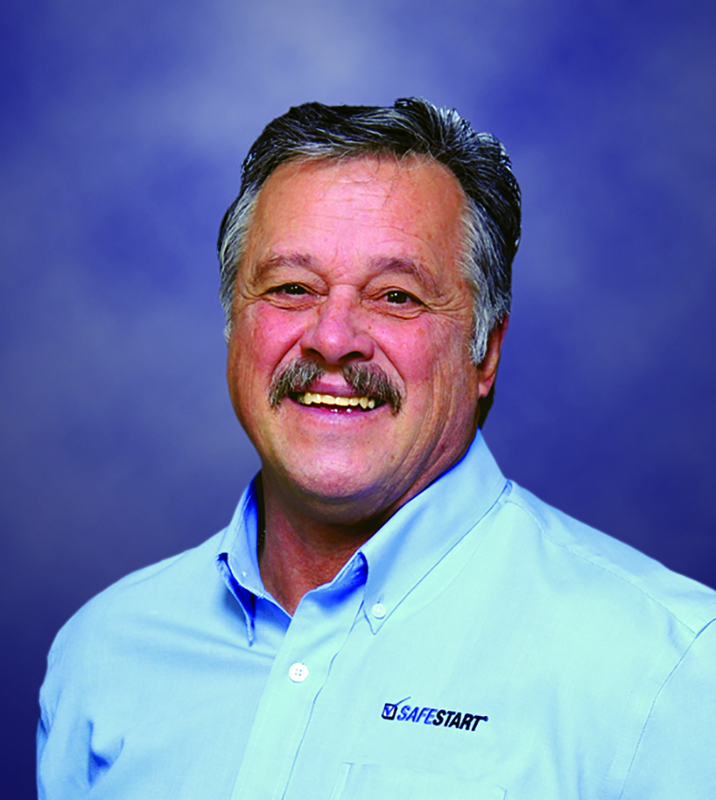 Steve Roberts is co-founder and senior partner at Safety Performance Solutions, Inc. He earned an M.S. in Industrial/Organizational Psychology from West Chester University and an M.A. and Ph.D. in Applied/Experimental Psychology with a focus in Organizational Behavior Management from Virginia Tech. His specific areas of expertise include the design, implementation, and evaluation of behavior and people-based safety processes, the assessment of organizational culture to guide safety interventions, increasing employee involvement in safety activities, organizational management systems design, organizational leadership development, and understanding and reducing human error in the workplace. 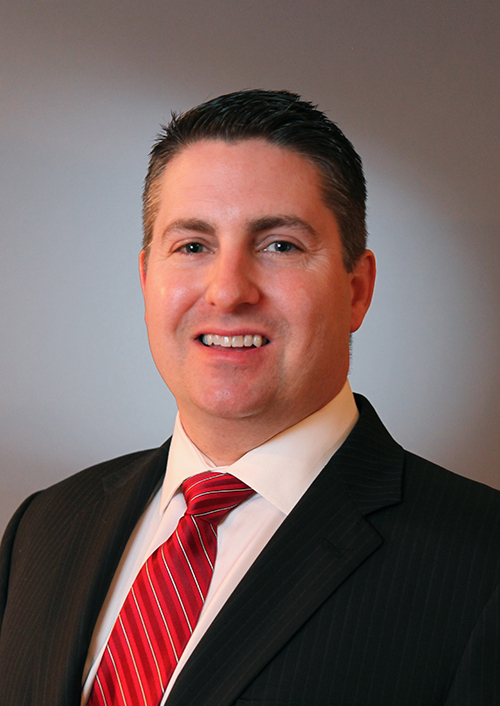 Trever Neuroth is an associate in the Reston, Virginia-based office of Jackson Lewis, P.C. where he focuses on workplace health and safety matters. He is admitted to practice in Alaska and previously served as labor and workforce safety and employment litigation counsel for the U.S. Postal Service. The first 10 years of his career he worked directly with end-users developing and implementing Flame Resistant Clothing programs specific to the customer’s hazards. Over the past 11 years he has worked closely with fortune 1000 companies educating them on the various fabrics, FR technologies and the dynamics of Arc Flash and Flash Fire hazards as they look to develop FR Clothing programs. Mr. Sang has developed and conducted over 250 educational and informational seminars here in the US and Internationally. He has been the keynote speaker on multiple occasions on the Hazards of Arc Flash, Flash Fire and general safety for a variety of companies, associations and organizations including BP, Marathon, DTE, SCE, ONCUR, IBEW, ASSE, BLR. NSC, VPPPA, NJATC, NECA, STEPs, ADIPEC, DUBAL (Dubai Aluminum), EMAL (Emirates Aluminum) now EGA, ABB (Abu Dhabi), SPE Off Shore. In his current position as a Technical Training Manager, Mr. Sang has developed over 40 hours of training curriculum for Bulwark University. These training efforts cover all aspects of FR clothing and are delivered utilizing live class courses, on line training, webinars and seminars. Bulwark University focuses on non-commercial training for individuals and companies on the hazards of Arc Flash and Flash Fire and how to properly design and implement a FR Clothing program. Prior to joining Willis Towers Watson in 1999, Fran Sehn was the Manager of Safety for Washington Steel Corporation for over eight years where he was responsible for safety, industrial hygiene, workers’ compensation and security for the specialty steel maker. He was instrumental in reducing the cost of risk at the 800 employee steel company using innovative programs for training and injury management. In his current position he provides safety and risk control consulting services for manufacturing, construction, institutional and real estate accounts throughout North America. He is currently a project leader for three Willis Blue projects. They include a logistics company with operations throughout the US, a UK based plastics packaging firm with plants in the US, Canada and Mexico and a manufacturer of medical devices with operations in the US and Mexico. These projects focus on safety and risk management methodologies for continuous improvement. Mr. Sehn’s career started in 1973 as a loss control consultant and he spent 18 years with several major insurance carriers. After graduating from college he spent several years in the railroad and electronics industry. He graduated from Point Park College with a BS in Electronics Engineering Technology and holds a MS in Safety Science from Indiana University of PA. He attained the Associate in Risk Management from RIMS and is a Certified Safety Professional. He is the chair of the Enterprise Risk Management Committee for the Laurel Highlands Chapter of the Boy Scouts of America. He is a member of the Western PA Chapter of the American Society of Safety Engineers (ASSE) where was the Past President (2004-2005) of the chapter. He is the author of the chapter entitled “Cost Benefit Analysis for Fleet Safety Training” in the ASSE “Safety Handbook”. He has been a speaker for the past thirteen years at the ASSE Professional Development Conference on a variety of risk management topics. He is past Administrator for the RM/I Practice Specialty (2014-2017) for ASSE and serves on the Technical Advisory Groups for ISO 31000 and the ISO 45001 Standards. Joe Tantarelli is an inspiring presenter who can relate “real life” to the training he provides. He has a down-to-earth training style that is a direct result of his 40 years of experience in heavy equipment construction where he went from laborer to operator to manager. 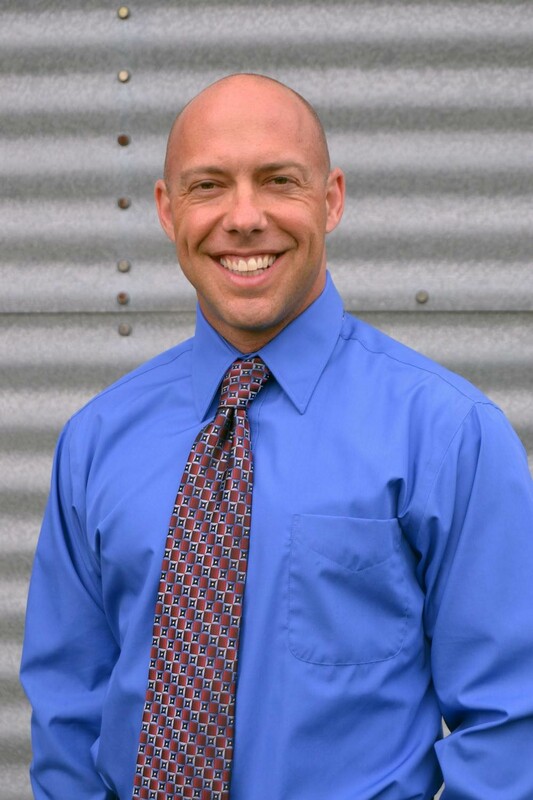 Mr. Tantarelli was a training specialist for over eight years at Trucco Construction, which provided a natural transition for him to become a speaker and implementation specialist for the past nine years. He has assisted company safety directors with management and employee training in preparation for receiving Star Approval in OSHA’s Voluntary Protection Program. He has been a popular speaker at the Ohio B.W.C Safety Expo, Eastern Kentucky University, Army Corps of Engineers Construction Roundtable, Kentucky Governor’s Safety and Health Conference, Kentucky League of Cities Insurance Services Safety Day, numerous safety council safety expos and many safety day events for companies throughout Ohio and Kentucky. This conference qualifies for up to 1.0 recertification points and the preconference workshops for up to 0.5 recertification points for CSPs, CHSTs, OHSTs, CMP credits for CHMMs, and may be eligible for CM credits for CIHs who attend. The COC guidelines state that the regular conference credits and preconference credits must be advertised separately.